The first week of October is coming to the end and we have traditionally prepared for you a selection of the most interesting and hot news of this week. So if you have suddenly missed something, do not worry, because you will find the most exciting news in today's digest. And we’d like to remind, that if you're interested in some story, then click on the link and go to the full article. 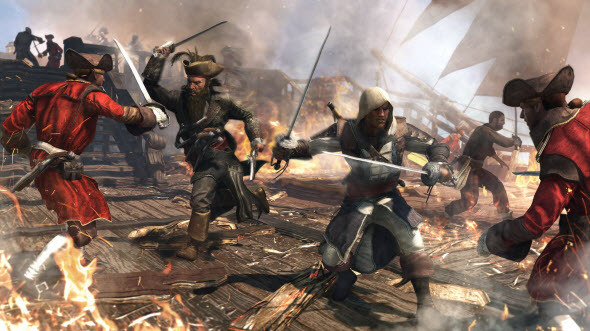 At the beginning of the week, the project’s developers have finally announced the Assassin's Creed 4 release date for the owners of PC and next-gen consoles, and presented fresh screenshots and trailer, which tells more about the pirates' lives. And near the end of the week Ubisoft revealed Assassin's Creed 4 and Watch Dogs system requirements for PC. Watch Dogs creative director, Jonathan Morin, has said a lot of interesting information about Watch Dogs protagonist and game’s map at the international Eurogamer Expo 2013, that was held in London from the 26th to 29th of September. Thus, according to Jonathan Morin, Aiden Pierce is an anti-hero, who though will do good things from time to time, will be the villain. We have also got to know that Watch Dogs map will be open from the start. Do you want to know more? Then follow the link above. On October 1 exclusive Battlefield 4 beta started and it was immediately captured by many gamers who wished to share their first impressions of the new instalment of this shooter. Thus, you’ll be able to watch fresh Battlefield 4 videos, which show the gameplay, the collapsing buildings and even the steal of a helicopter, by clicking on the link above. There you will also find an image of weapons available in the game. In addition the rumor that DICE team is going to return to the Battlefield: Bad Company sub-series, has appeared in the network. If you haven’t had time to play GTA Online, you will be interested to know that you will have to create your character, customize his (or her) genes and set some additional parameters in this special additional multiplayer mode of GTA 5. If you want to know what else you will be available to do in GTA Online, follow the link above. And if you are interested in the money side of the game, we offer you to read a few tips on how to get easy money in GTA Online. This racing simulator will be released a little bit than in a month and EA, the publisher of Need for Speed game series, does not miss the opportunity to tell and show something new about its current project - Need for Speed: Rivals. 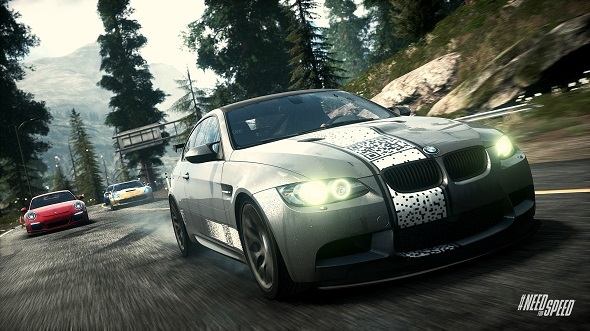 Thus, we have been demonstrated new Need for Speed: Rivals video, revealing some of the progression and pursuit tech upgrades in the game, and a set of fresh screenshots that you can see by clicking on the title of the article. In addition, this week has been full of game’s reviews. If you're a fan of football simulators and hover what to choose this year - FIFA 14 or PES 2014 - then we have for you a great comparative analysis, which will help you to take the only right decision for you in this situation. Well, if you're interested in what projects will be released this month, then you should read our review about October game releases. Finally, for those who like adventure point-and-click projects, we have a fresh review of the new game in this genre - The Inner World.